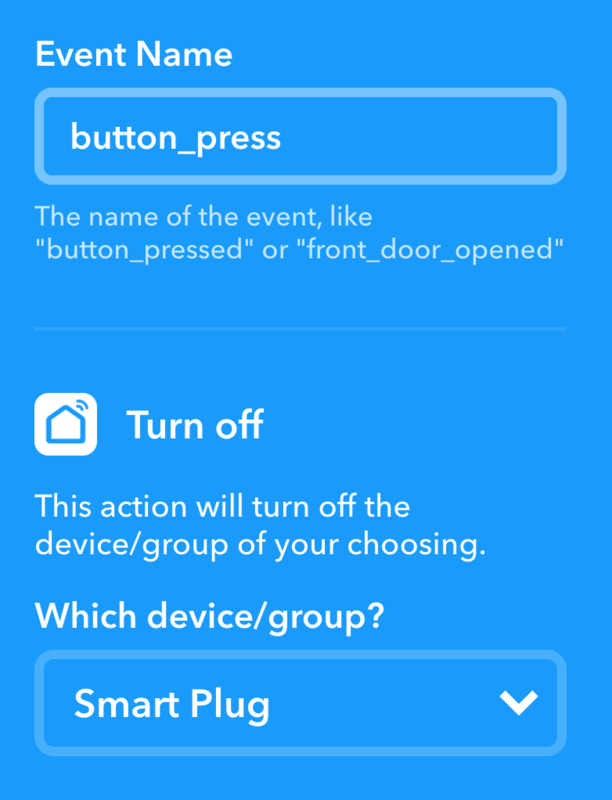 I have a simple device (Nordic Thingy 52) with a push button which can trigger the Maker Webhooks service in order to pass an event (button_press), which I am currently using to then trigger the Smart Life service's "Turn Off" or "Turn On" action. The problem is that, since I can only pass the one event (button_press), I have to choose whether that event triggers either "Turn Off" or "Turn On". But what I want is to add some logic to say, "If the previous request was to turn off the Smart Life device, make the next one turn on the smart life device." Wasn't sure how to do this. An AWS Lambda function? Chaining some other preexisting service? A filter that utilizes local storage or somehow handles state logic? Any pointers for where to start searching would be appreciated. I believe that stringify can do this, and will also interact with IFTTT if you need to access specific devices. I thought that IFTTT also had a new feature to write applets (with cloud state), but I'm unable to locate that in their documentation right now. Not the answer you're looking for? Browse other questions tagged alexa amazon-echo ifttt aws or ask your own question. How do I generate a Time-based One-time Password with IFTTT? Can triggers be chained with IFTTT? How delayed can IFTTT triggers be? What is the difference between Echo and Echo Plus? How can I activate a IFTTT recipe when a Philips Hue movement sensor gets triggered? How do I set an IFTTT event to fire at specific week days at 7:40?